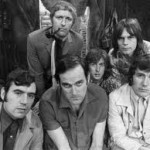 Home » Comedy » All-time best Monty Python sketches. Vote early and often. 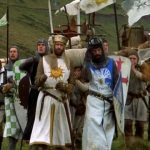 All-time best Monty Python sketches. Vote early and often. 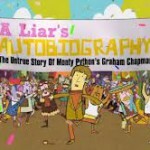 You may have heard, recently, that the Pythons will lend their voices to the upcoming film, A Liar’s Autobiography, an animated 3D movie based on the memoir of the late Python member, Graham Chapman, who died in 1989. 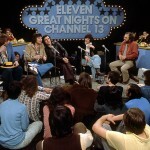 Chapman’s own voice will be pulled from his original reading of his autobiography of the same name. Interestingly, the movie, set for a 2012 premiere, will be directed by Bill Jones, son of former Python member, Terry Jones. With the Pythons getting back together (sort of) for their first collaborative project since their 1983 film, The Meaning of Life, the Telegraph decided to revisit one of the most ground-breaking and influential British comedies of all time, Monty Python’s Flying Circus, by self-identifying their top-five Python sketches of all-time. Have to say, I’ll go along with them on the obvious Dead Parrot and Spam sketches, but I think they missed the boat on the other three. I’m going with more obvious for my remaining three all-time favorites (with an extra thrown in that hardly ever gets recognition). What about you? Any additions, subtractions, comments, etc? I’m surprised that the art museum sketch (characters in paintings come to life), world leaders quiz (Marx, Lenin, etc. ), and “Wuthering Heights” in semaphore (Oh Cathy! Oh Heathcliff!) didn’t make the list. The Python’s “Wuthering Heights” adaptation beats out the others. Seriously. Ok, make that Pythons’. I can’t proof my own stuff well.